Available in high and low profiles: 4"/ 6.5", 8.75"
Our flexible slat foundation is designed to do more than merely support your mattress—it is designed to support YOU. The curved slats in our foundation provide both suspension and contour for greater comfort and pressure reduction. And the slat system is fully adjustable and dual-sided to meet the needs of individual sleepers. Based on a design widely used in Europe, we have adapted the system to meet the needs of American consumers. Our flexible slat foundation replaces your box spring and fits in any standard-sized bed frame. Paired with one of our flexible, supportive mattresses, it is an integral part of our system. An important but often neglected part of the sleep experience is the sleeping climate which describes the temperature and humidity level during sleep. Compared to standard box spring or platform bases, the open design of our slat base enables important air circulation below the bed to create a dry and healthy sleeping climate combating unwelcome guests like mould, mildew, house dust mites that affect breathing and contribute to allergies. Humidity also affects your heart rate which in turn elevates blood pressure and causes shallower sleep. 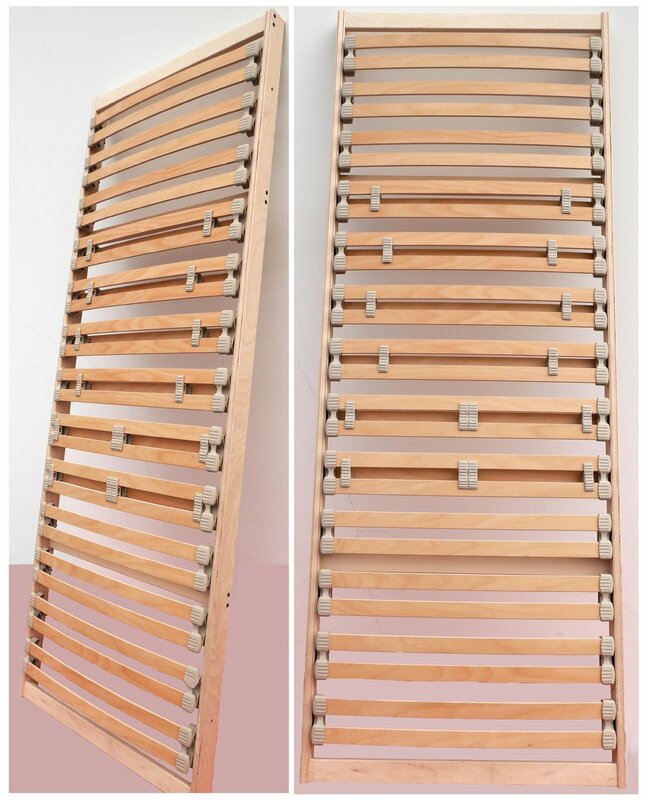 Our flexible slat system is made of individual curved wood slats set into shocks that allow each slat to flex and rotate under the weight of your body. The midsection of the system includes six adjustable slat zones with sliding adjustors, which create lift and give support. These adjustable zones are set to accommodate the curves of your torso, lifting through the lower back, waist, and knees, and giving through the shoulders and hips. This not only reduces pressure on the body, it also stabilizes your sleep posture and aides in correct spinal alignment. Because the flexible slats are dual-sided and built for support, they eliminate excess motion and center sag. You enjoy the feeling of weightless support. The flexible slat foundation is designed to enhance the feel and performance of our mattresses. Made from natural, breathable materials like organic stretch cotton, natural latex, wool, and carbon-steel coils, our mattresses are uniquely elastic and responsive—never stiff or rigid. They are able to transfer the slat system's contour and definition to your body. Together, these durable and innovative components achieve a unique combination of stability, support, and comfort. High Profile 7” and Low Profile 4"
Our wood foundation is constructed with closely spaced solid wood boards for firm support while at the same time allowing airflow to ensure a dry and healthy sleeping climate. The foundation replaces your box spring and fits into any standard-sized bed frame. Paired with one of our flexible, supportive mattresses, it will provide stability and comfort. We meet flammability standards naturally, without using artificial barriers or chemical sprays by upholstering the foundation with organic cotton knit and pure wool to match our mattress design. 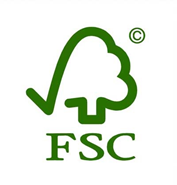 All the wood used in our foundations comes from sustainable PEFC and FSC certified sources in Germany and Canada. The frame of our foundations is crafted from solid, untreated wood from Canada and we import the laminated wood for some of our frame specifications and our flexible Euro slats from Germany where the material has been tested for harmful substances and our suppliers meet the strict E1 regulations for Formaldehyde.